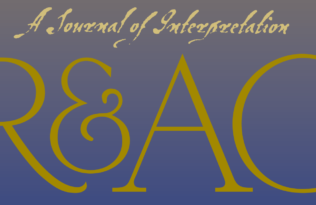 This article [published in Studies in Late Antiquity 1.1] offers an unashamedly personal set of challenges to conventional approaches to the study of late antiquity. In particular, it recommends that some of the impasses that currently bedevil debates in the discipline might be overcome by adopting a more world-historical approach to the subject. By that I mean not only seeing the history of late antiquity in a wider geographical perspective, but also a viewpoint that adopts an ethical stance that challenges the current paradigms within which late antiquity is debated: as I argue below, conventional accounts of the period focus their narratives around the experiences of the Roman Empire and, therefore, articulate an essentially western and Eurocentric interpretation of historical development. Of course, many specialists in the field are already making significant advances away from this western-dominated narrative; nevertheless, it strikes me as a worthwhile exercise to draw the strands of the debate together and to offer pointers to possible future directions. Given the scope of the undertaking implicit in this recommendation, the enquiry presented here can only offer a brief overview of the themes and issues I want to contest: the examples cited below could be multiplied exponentially, and I aim to investigate many of the issues in more detail in the future. In other words, what is presented here is only the beginning of a larger project. I should also clarify that the outcomes of what I suggest here might take many forms. I have written this article mainly with an eye to research agendas; but there is no reason why some of the perspectives recommended here could not also be imported into a classroom setting, where they would surely provoke interesting discussions. But to begin with, and in order to demonstrate how ingrained the conventional approaches I wish to challenge have become, I present a narrative that will seem, at first, wholly familiar. A victory had been won and the ruler wanted to celebrate it. The barbarians, true to form, had been duplicitous and had broken the treaty. Now a great hosting of them (Goths, Germans, and others) had invaded the empire, but they were no match for the empire’s forces and had been utterly defeated. Many of the enemy had been slain in bloody vengeance for their treacherous behaviour in starting the war. More importantly, many of their leading men had been captured; best of all, their king had been captured alive. He would make a fine ornament for the ruler’s victory celebrations at his capital, a living example of the ruler’s indomitable power, a figure to be humiliated and put on public display. Such a great victory also deserved a permanent commemoration in text and image, so reliefs and inscriptions were set up showing the ruler in all his might lording it over his abject, cowering foe. Such images are familiar to us from Roman imperial and late-antique monuments, like the reliefs from the now lost triumphal monument of Marcus Aurelius or from the extant arch of Septimius Severus in Rome, or those that decorate the obelisk base of Theodosius I in the hippodrome in Constantinople. But the set of victories and commemorations I have been describing so far do not come from that familiar context. Rather, the triumphant ruler was Shapur I, shahanshah of Sasanian Persia; the defeated barbarians were the Romans; and the captive king the emperor Valerian in 260 C.E. For humiliating display, I have in mind the tradition that Shapur used Valerian as a stool when mounting his horse or getting into his carriage, and that later, when the emperor died, his corpse was flayed and his skin tanned to provide a more permanent trophy. As for the epigraphic and visual commemorations, I mean the so-called Res Gestae Divi Saporis, the great trilingual inscription recording Shapur’s victories, and the rock reliefs at Naqsh-i Rustam and Bishapur, showing his triumph over not only Valerian, but Gordian III and Philip the Arab too. If, however, anyone steeped in Roman imperial or late-antique history had assumed that my earlier description alluded to the victories of a Marcus, Severus, or Theodosius, their misapprehension would be wholly understandable, for they have been conditioned to think of a world centred on Rome, Constantinople, and the Mediterranean. That this should be the case attests to the profound influence on modern perceptions of a supposedly “normative” world view underwritten by traditional, classical geographical divisions of the world into a civilized centre and barbaric periphery. In this traditional schema, Persians, like other non-Romans, inhabit the margins of the map. Such a world-view underpins classical and classicising historiography, and can be found, for instance, in the fourth-century Latin historian Ammianus Marcellinus’ celebrated description of the Huns as being “abnormally savage” and living “beyond the Maeotic sea, near the frozen ocean.” He goes on to catalogue their lifestyle in a form that reads like a negative checklist of the accoutrements of civilization as it was viewed by the Greeks and Romans: the Huns lack every marker of civilized life, from fire, to cities, to politics, and are only acknowledged begrudgingly as human. They are, therefore, doubly remote from civilization, in terms of both their geographical distance and their lack of cultural attainments. But the achievements of Shapur I, and his epigraphic and monumental commemoration of them, remind us that other perspectives, not centred on the classical Mediterranean, are possible. It is these perspectives that I want to explore here, and I organise my reflections as follows. 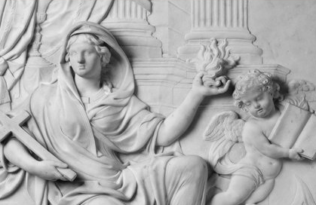 First I offer a survey of late-antique perspectives on the world, showing their variety and complexity, and how they demonstrate that the Mediterranean-centred perspective of classical and classicising historiography is not the only view possible. 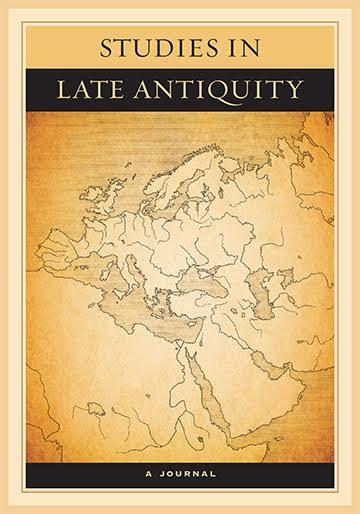 Next, I discuss how the traditional shape of late antiquity has been made to fit into a customary western, and essentially Eurocentric, view of history – and how this might be regarded as deeply problematic. The final part of the article considers how that traditional view might be challenged by adopting an approach that is more sensitive both to the multiple local perspectives outlined in the first part of the discussion and to global contexts; this in turn shows how, by advocating a more world-historical perspective on events, we can challenge traditional narratives of the period, and see events in a new light. 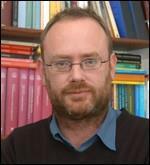 Mark Humphries is a Professor of Ancient History at Swansea University, having previously held appointments at St Andrews, Leicester, Manchester, and the National University of Ireland Maynooth.